In Minnesota, the homeowners demand that their landscaping is beautiful and attractivem and to get this type of landscaping they will give us a call. 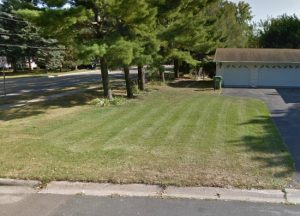 This is because we are an expert sod supplier in St. Louis Park. As a family owned and operated business with over twenty years of experience, we understand the importance of providing exceptional services and products. We commit to being the best in the industry, which means putting your property as our priority. All of our landscaping services and especially our sod delivery options can be tailored to fit your specific needs. We have transformed thousands of lawns with our sod and turf services. It would be our pleasure to work on yours as well. If you need more information about our extensive landscaping options, don’t hesitate to call! We are ready to provide a free quote or simply share our knowledge with you. St. Louis Park was founded in 1852, then incorporated as a city on November 19, 1886. The motto of the city is “Experience Life in the Park”. The population of the city is 48,171. St. Louis Park has many attractions that will keep anyone entertained. The Aquatic Park in the city is a favorite destination for visitors and residents. The Aquatic Park has an obstacle course that has a bridge, ramp, cliff, slide, and a balance pond. The obstacle course will keep you and your family occupied for many hours. The Aquatic Park also has water slides, diving boards, splash pads, and a concession stand where you can get a bite to eat without leaving the park. This is a great place to bring the entire family when visiting this city. The Westwood Nature Center is a fantastic outdoor adventure. The Westwood Nature Center is over one hundred and sixty acres. It features marsh, woods, and prairie where visitors can see deer, owls, foxes, and mink along with other animals. There is a lake and trails that visitors can go on. There is no admission to the Westwood Nature Center and the best place to see the beauty of this city. Adults visiting St. Louis Park should go to the Copperwing Distillery. The Copperwing Distillery is a local distillery that has a cocktail room, store, and tours. Visitors can go on the tour, then stop at the cocktail room where you can enjoy a cocktail while seeing through the clear glass at the production space where all the beers and spirits are made. There are plenty of exciting activities to enjoy for all ages in this city. If you are planning a visit to the city, then you will want to make sure you spend several days, so you can truly see all that this city has to offer. 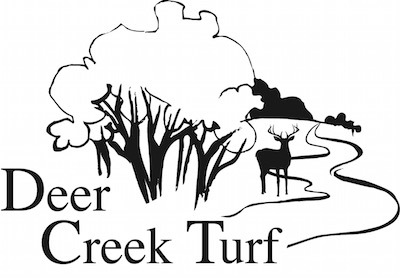 Deer Creek Turf is who homeowners contact for all their turf, sod, and hydro seed services. We can help you and your landscaping too. Contact us today! If you want more updates on our St. Louis Park sod company projects, be sure to visit this page again soon! Recently, we had a call from one of our previous St. Louis Park sod company clients who had been fortunate to go on vacation for most of the winter months. They actually hadn’t come back since the spring and noticed that the elements had nearly decimated their lawn. They called us to see if we could help, and we could! We installed new sod for them, which only took a day for our crew to complete. 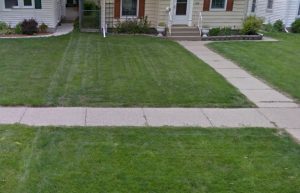 Our crew went over to the residence in St. Louis Park and analyzed the lawn. The crew suggested that the homeowners get new sod installed. The homeowners agreed, so the crew measured the lawn again, then we arranged for the new Kentucky Bluegrass to be delivered the following morning. Our crew was at the home at 7:30 in the morning. Before the sod was laid the crew made sure the drainage was properly in place and the crew made sure that the foundation was in good condition because we didn’t want the sod to become damaged. The crew then graded the St. Louis Park site, then started rolling the sod out and making sure each piece fit accurately and was level and smooth. The crew started laying the sod from the back yard towards the street as it is important to work your way off the lawn when you are laying sod. If there were any slopes, then the crew would just use sod staples, to keep the sod in place along with making sure the water would drain properly from the sod. Once all the sod was perfectly in place, the crew began watering the sod for approximately thirty minutes. The sod must remain most, and it should be watered each day for about the same amount of time, so the roots of the sod will start to knit with the roots in the soil. The crew let the customers know that the sod was all laid for them and we told them to start testing the grass blades in a few days to see if there was any resistance and they could do this by simply and gently pulling a few grass blades upward. If there was no resistance, then the sod was doing great. The crew also let the customers know that if they were going to be heading south for the winter again to just give us a call and we could come out periodically to check the lawn to ensure that it wouldn’t become damaged by the brutal winter months that we endure, which the couple was pleased to hear. They said that Deer Creek Turf was the only sod company in St. Louis Park that they would ever trust their lawn with.